intlx Solutions' engineers offer a solution using Avaya Aura Session Manager to provide a secure, highly available sip routing plan that allows multiple locations to dial one another. A local supermarket chain has multiple locations each needing reliable phone service. All remote sites are connected to the core site via a business class internet connection with an overriding VPN setup to provide secure connectivity. Users need to be able to call users at each site, as well as corporate headquarters, without using public network trunks (PSTN). Using Avaya Aura Session Manager, we provide a secure, highly available sip routing plan that allows each site to dial one another. The remote locations utilize Avaya IP Office Preferred Edition systems to provide reliable on site telephony to remote users. Avaya Aura Session Manager is used to network all the IP Office systems together via secure SIP trunks, two Session Managers were used for reliability. 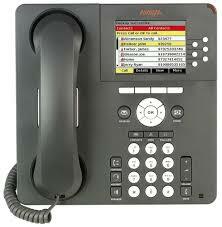 Each IP Office has a connection to each Avaya Session Manager for redundancy. IP Office uses ARS fail over to route outbound SIP calls to a secondary SIP path to the alternate Session Manager if one Session Manager were to fail. Communication Manager also takes advantage of look ahead routing features to ensure that there are alternate paths to call to all remote locations.